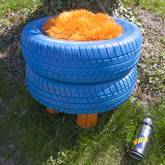 With our wide-ranging assortment of colour shades, you can transform your car tire in an unusual seating for your home or your hobby basement. 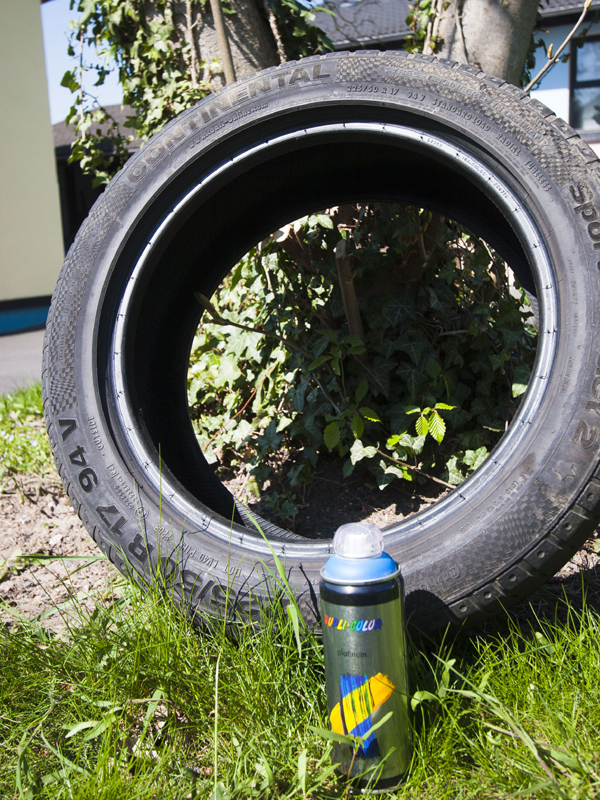 The car tire has to be clean, dry and free of grease. Preferably clean the bottle with some water and a cloth. 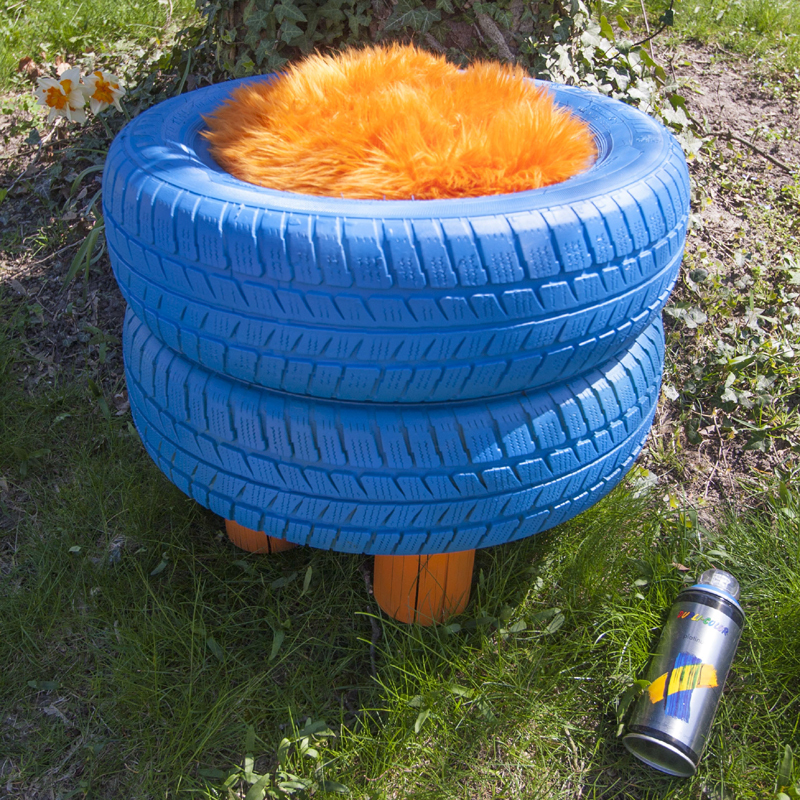 The best way to spray is outside. If that's not possible, work in a well ventilated room. Make sure that your working surface is protected with an underlay. 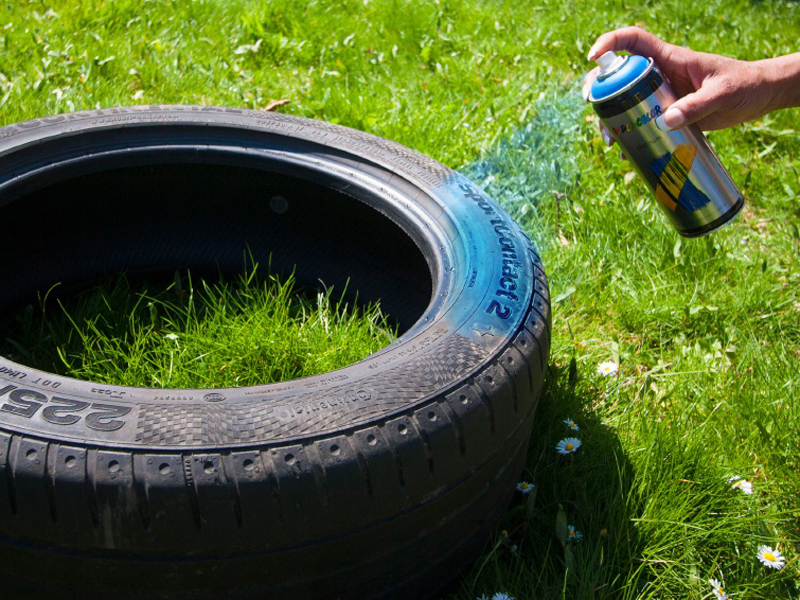 Shake the spray can for three minutes so that the colour pigments are perfectly distributed. 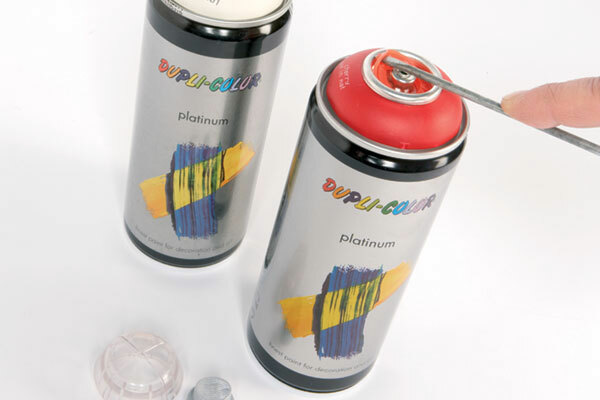 Now spray DUPLI COLOR Platinum in a cross movement from a distance of about 20cm on the bottle. Repeat this process until the bottle is perfectly covered.